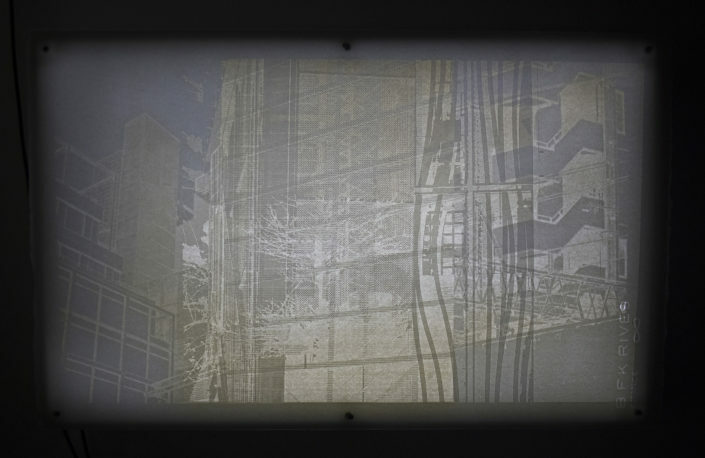 Urban Shadows 8, Laser Etching, 15" x 11"
Incised Tapestry presents a unique way of viewing photographs of architecture from Tokyo, Shanghai and New York, by visually weaving together patterns, shape, and textures into an ever present grid. 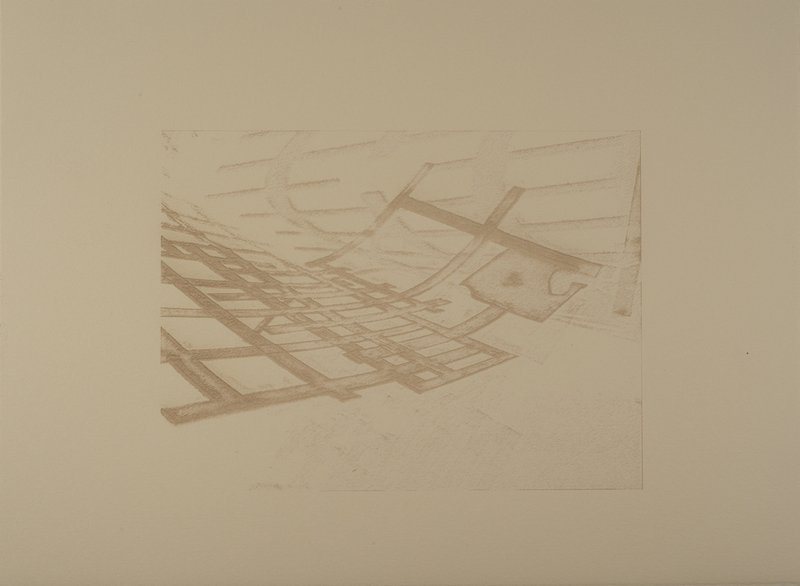 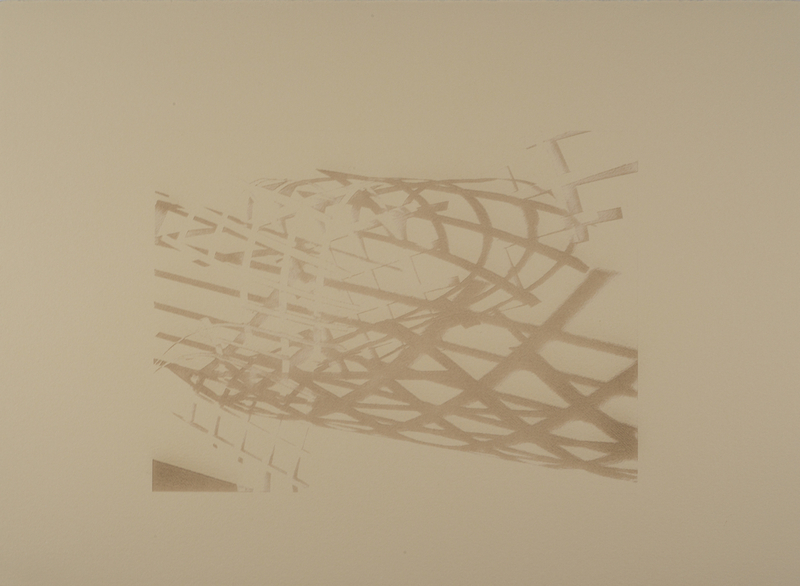 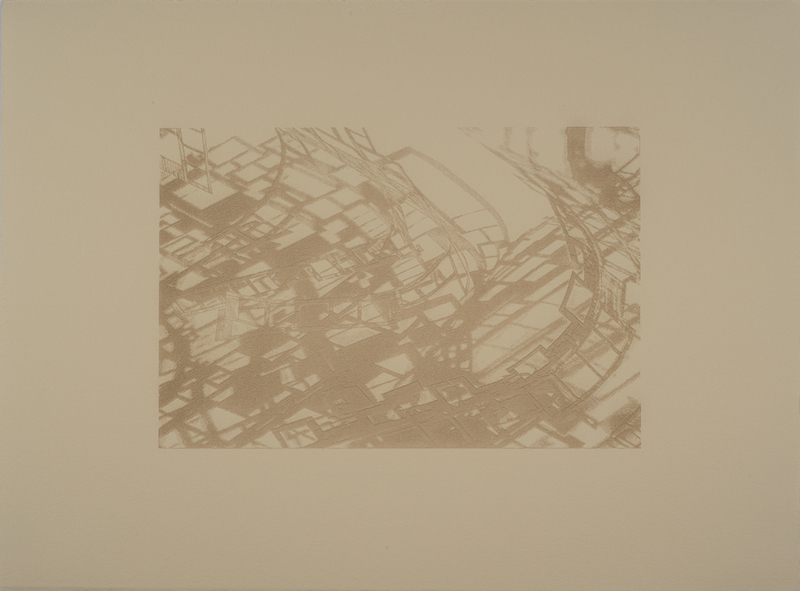 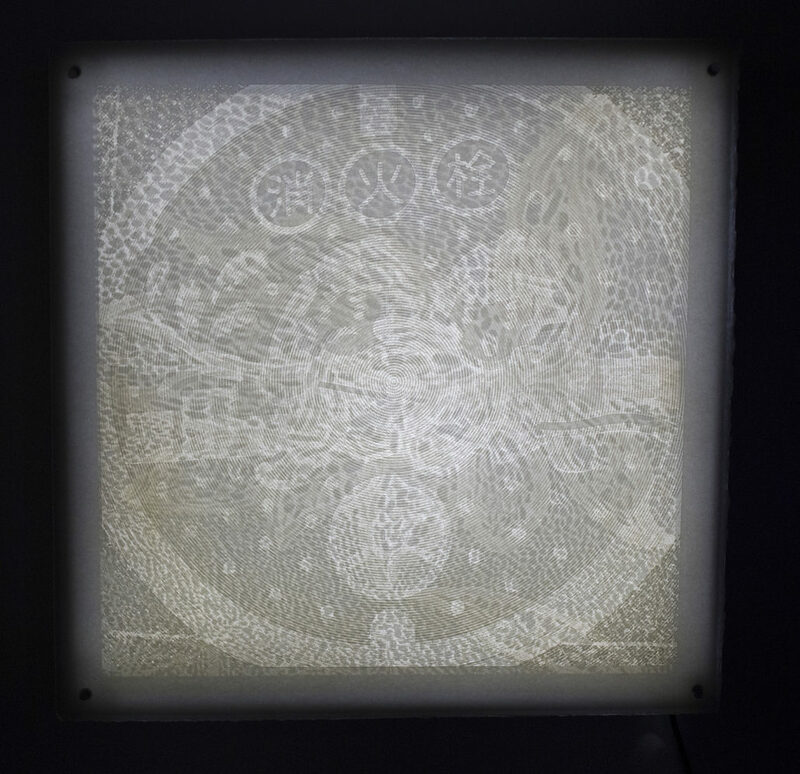 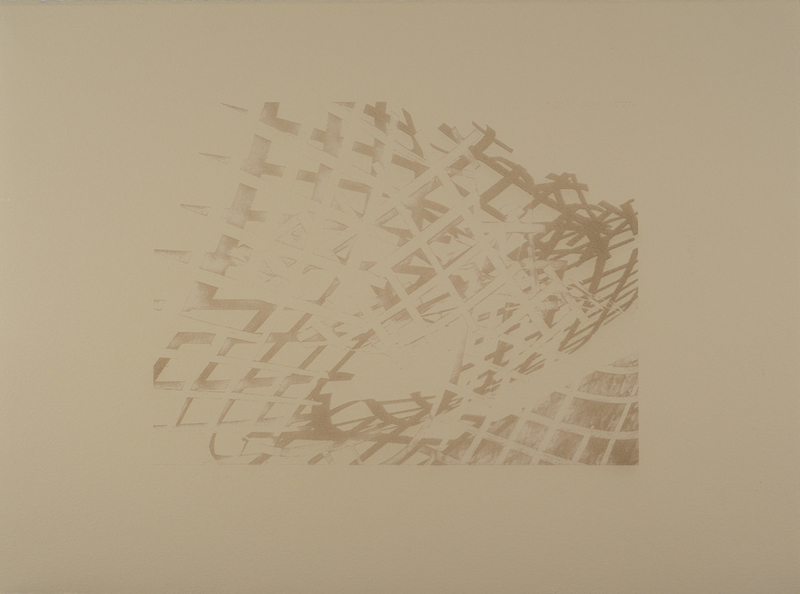 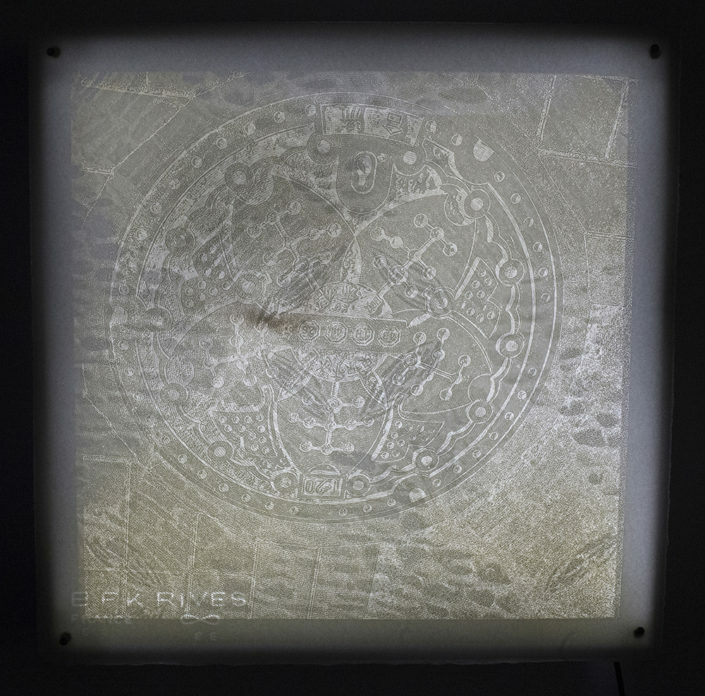 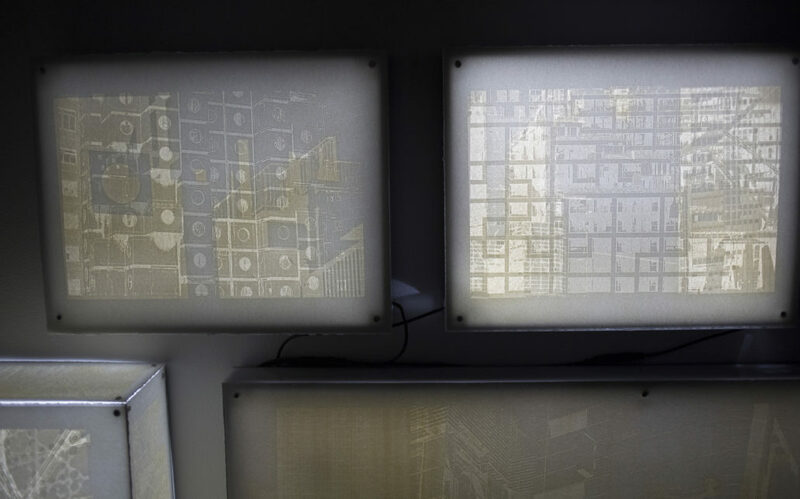 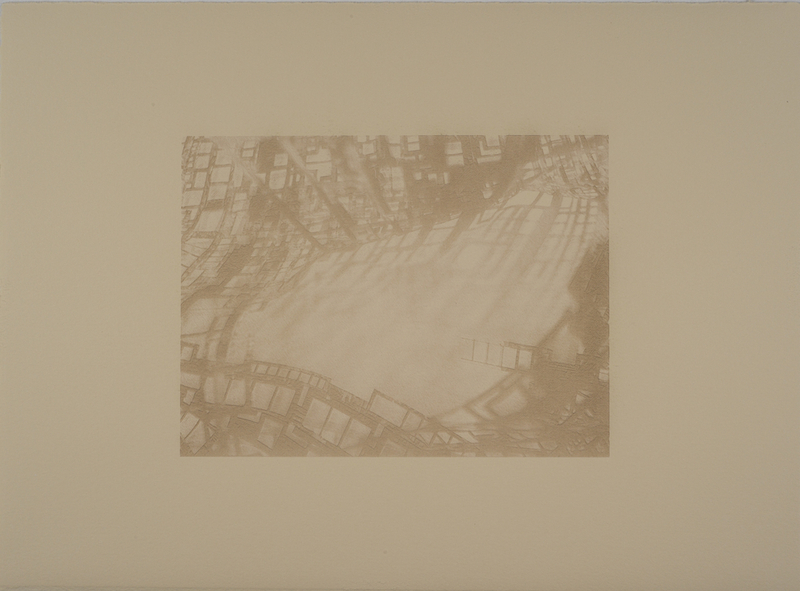 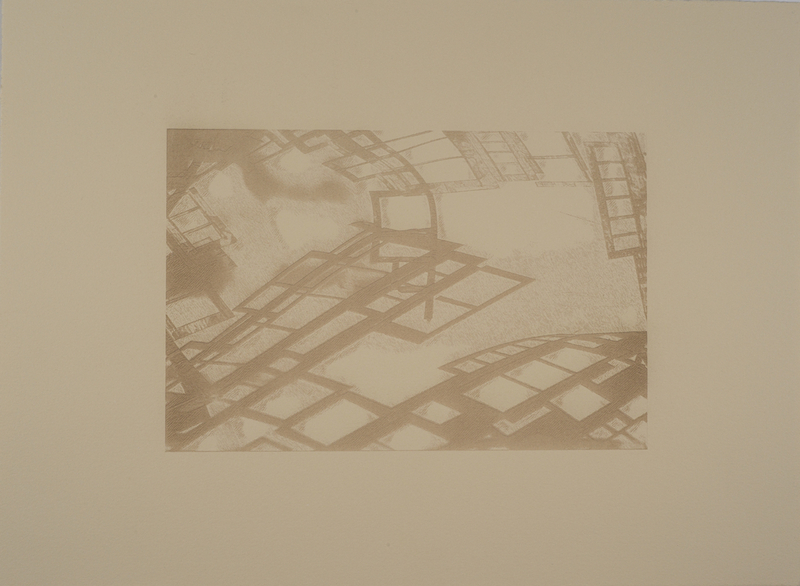 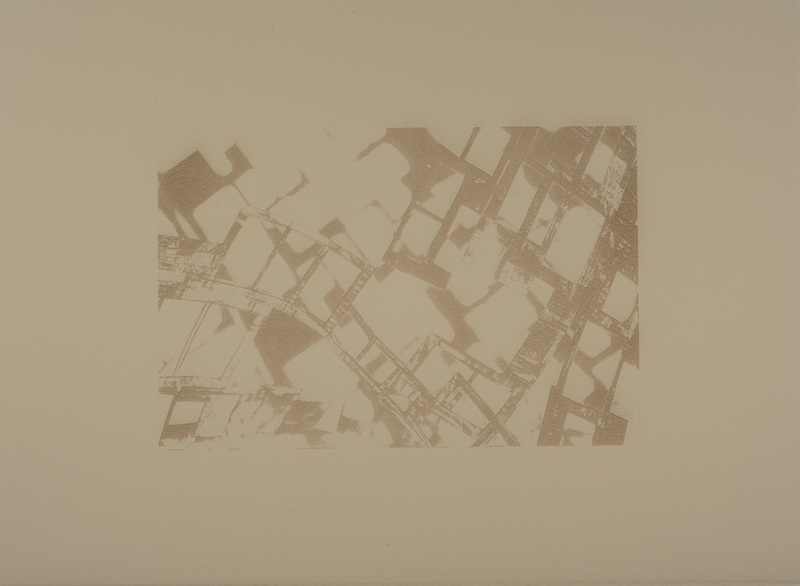 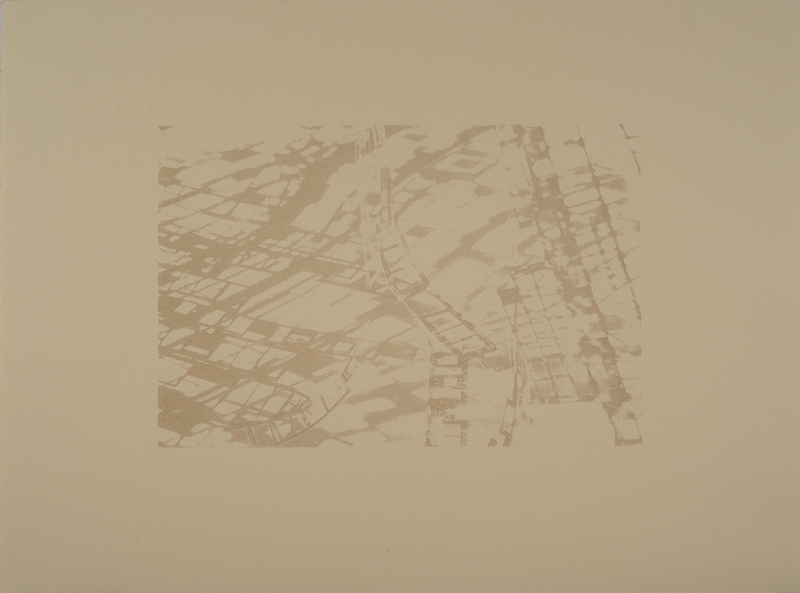 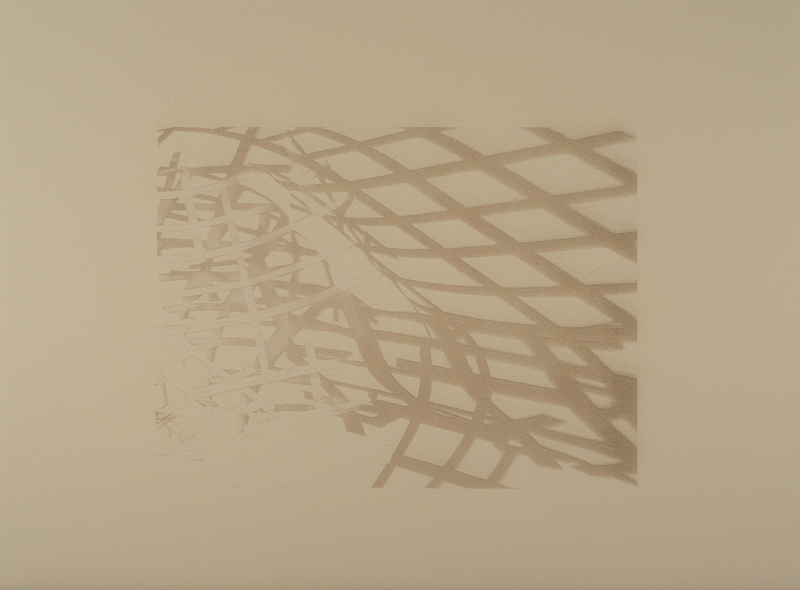 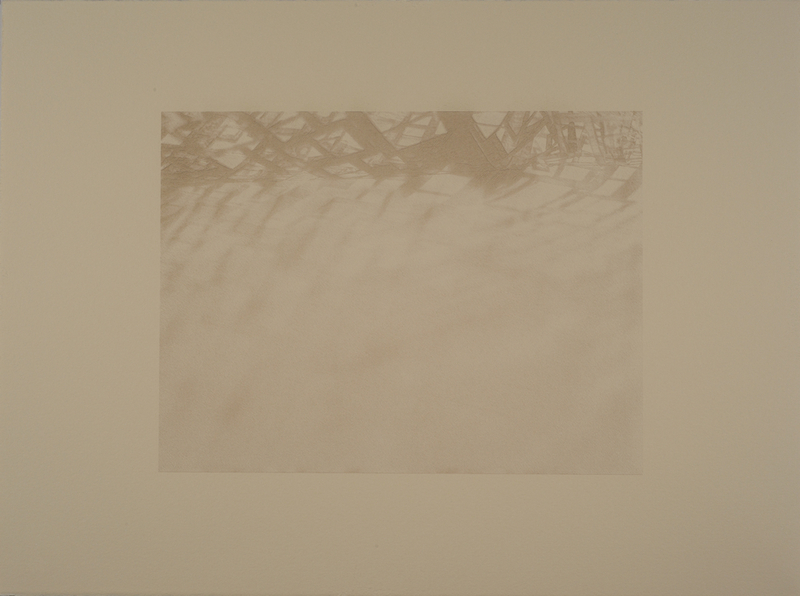 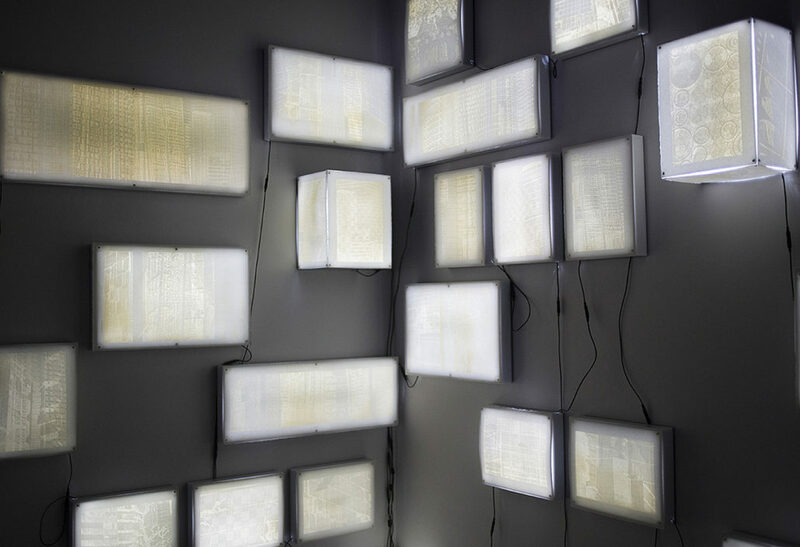 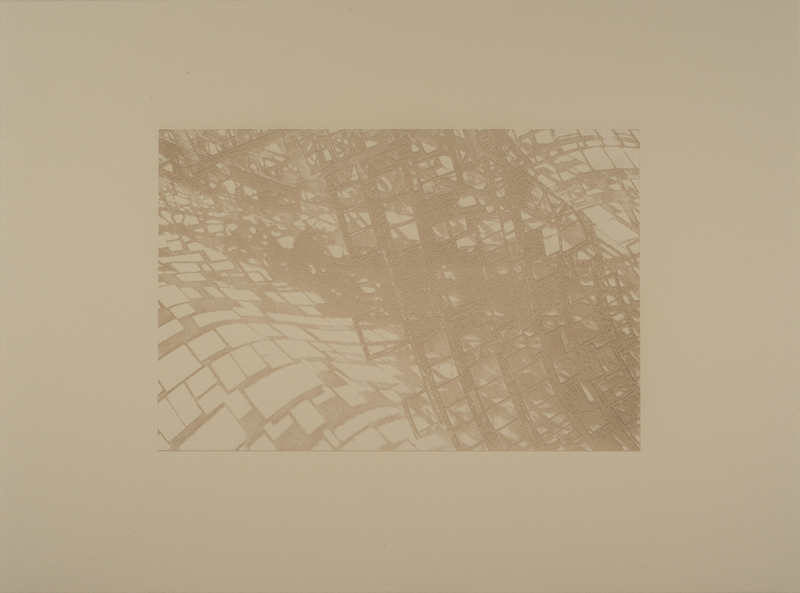 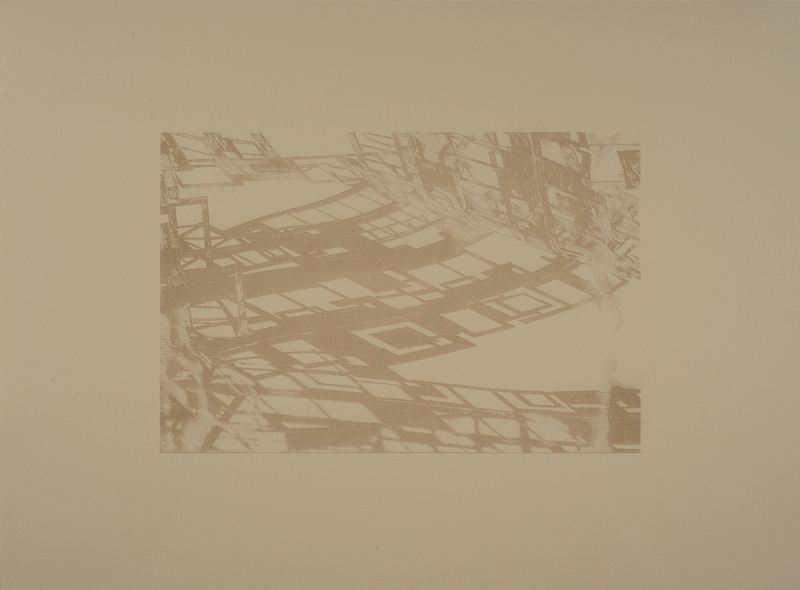 Using a laser cutter, thirty-four laser-etched photographs were incised into both front and back surfaces of sheets of rag paper, where through backlighting, sections of the images gradually emerge. 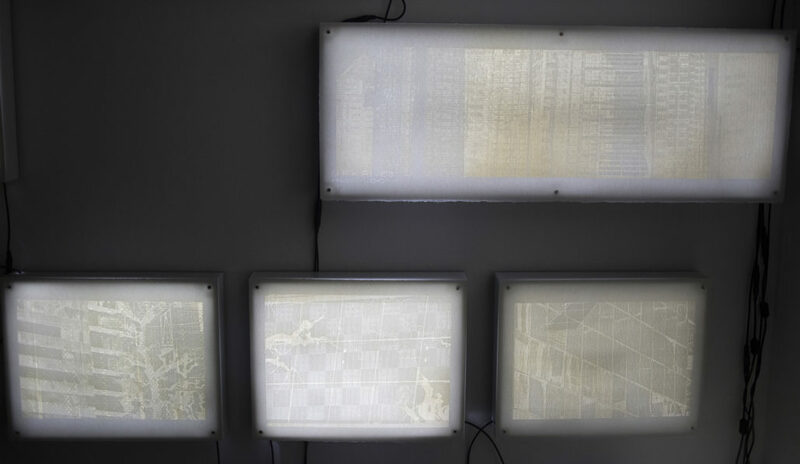 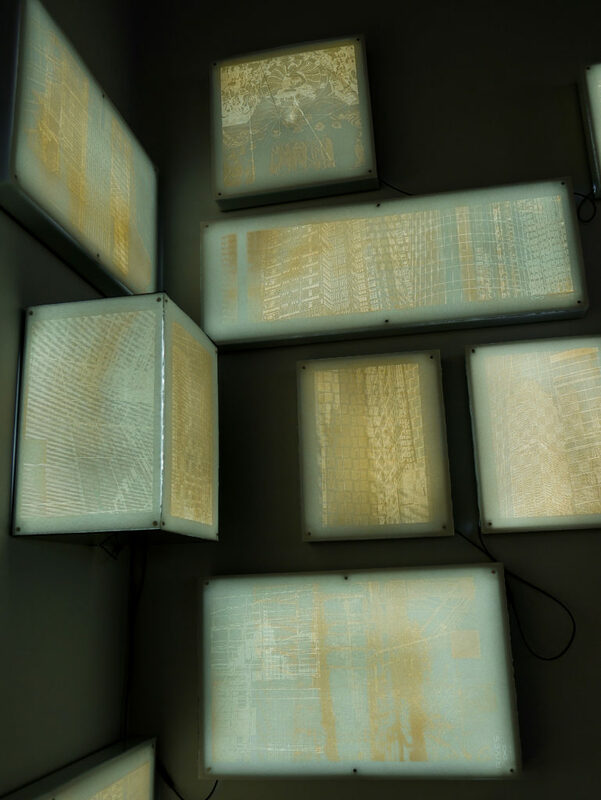 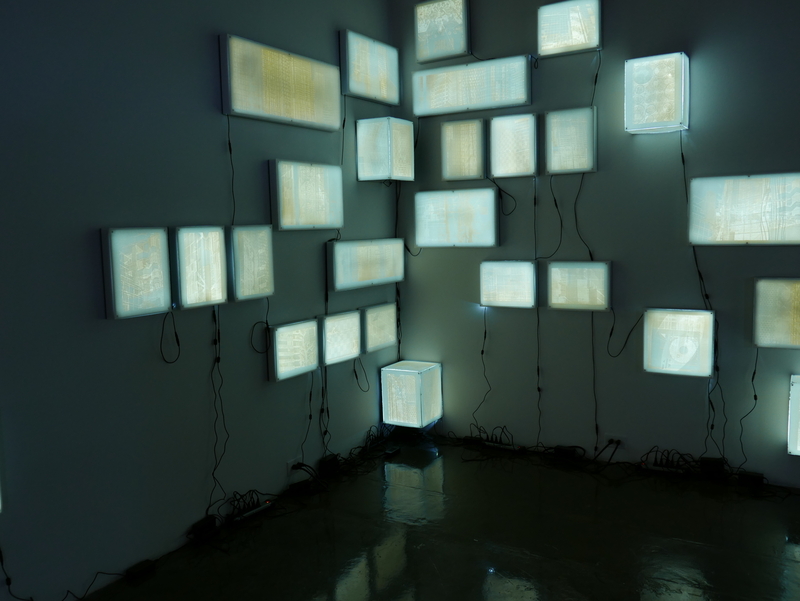 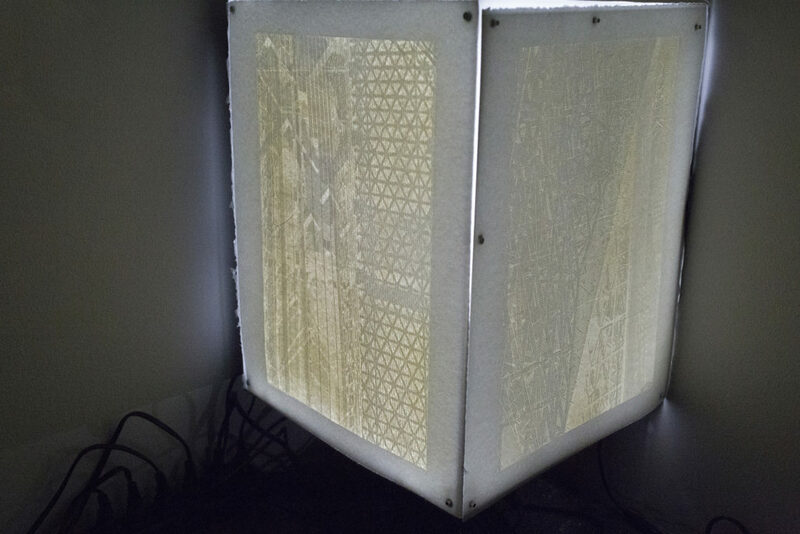 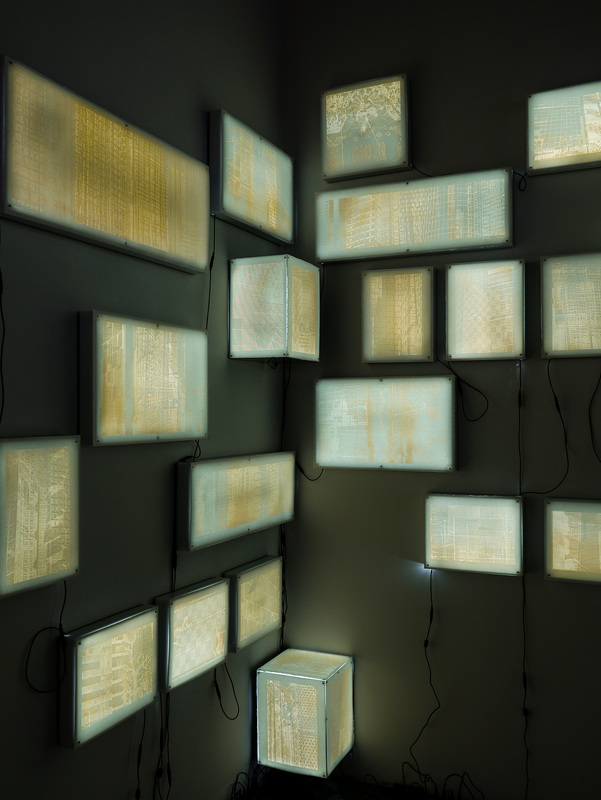 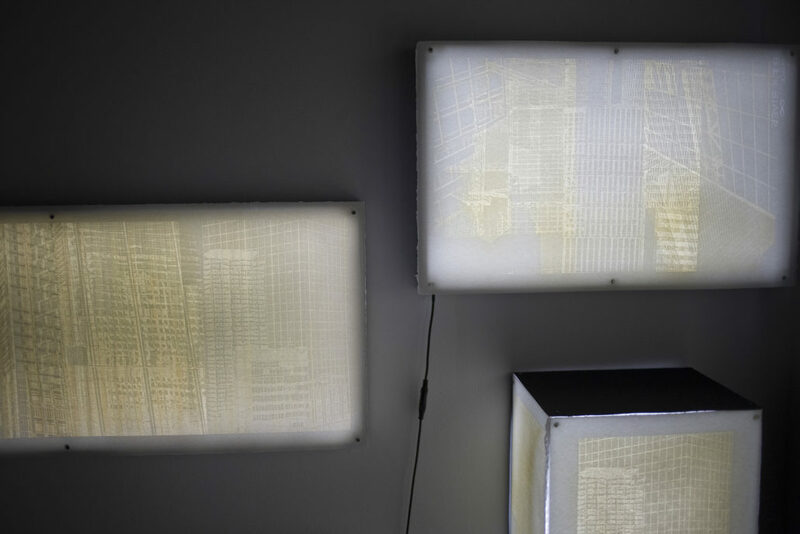 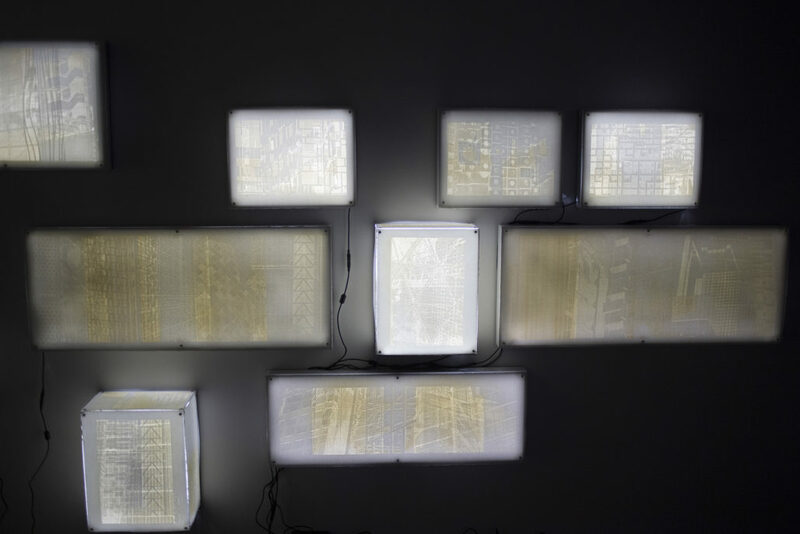 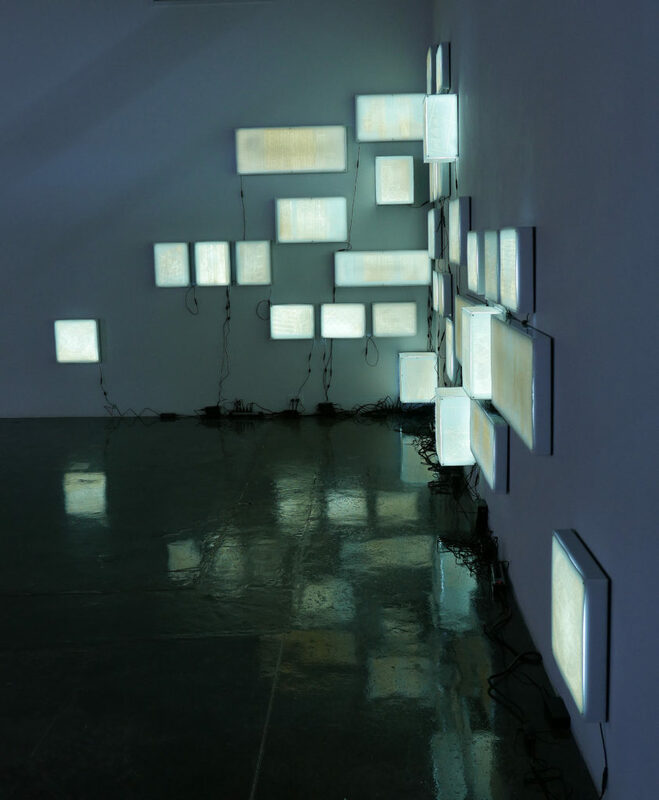 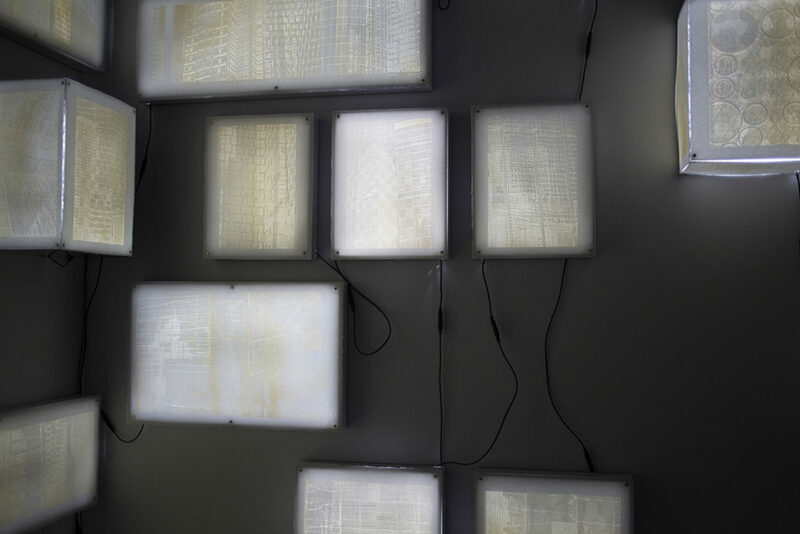 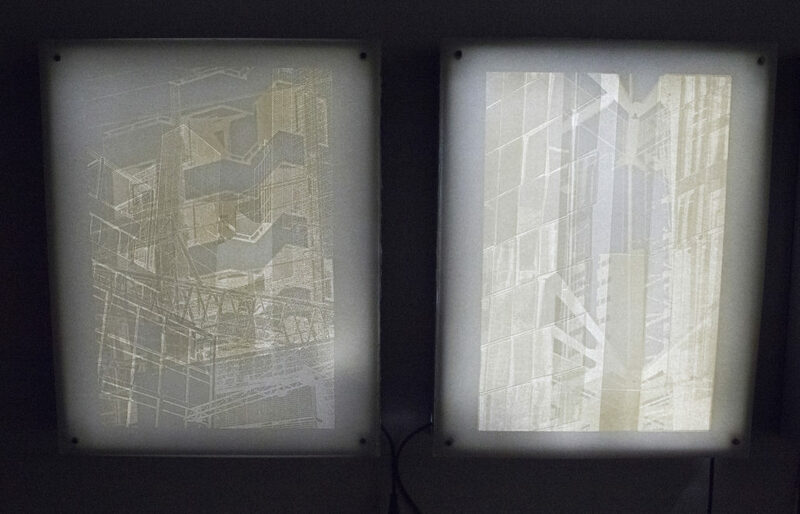 Corresponding sized light boxes highlighted patterning, the repetition of lines and shapes in each piece. 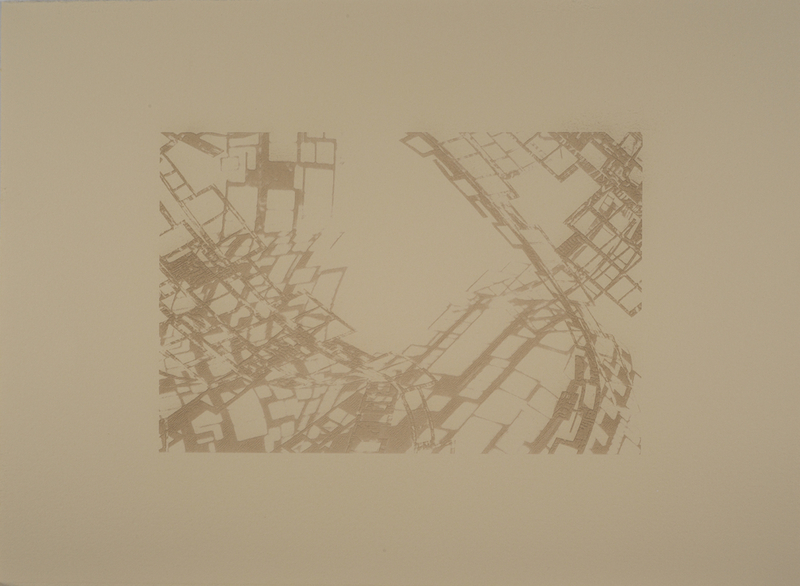 Each double-sided print emphasized dynamic formal qualities, while also highlighting place, narrative and a sensitivity to the depicted culture. 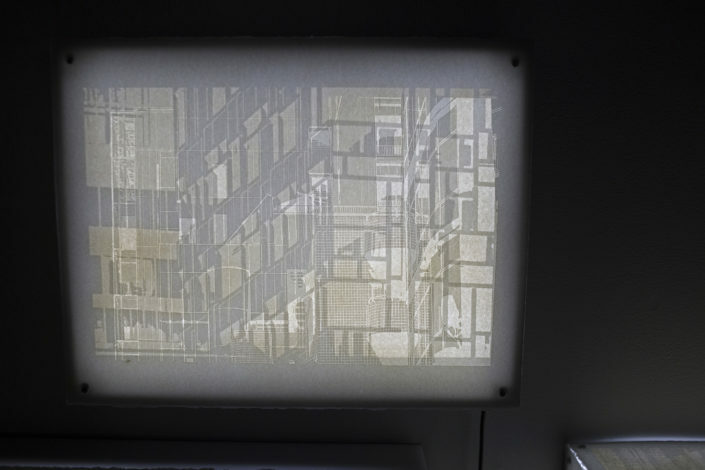 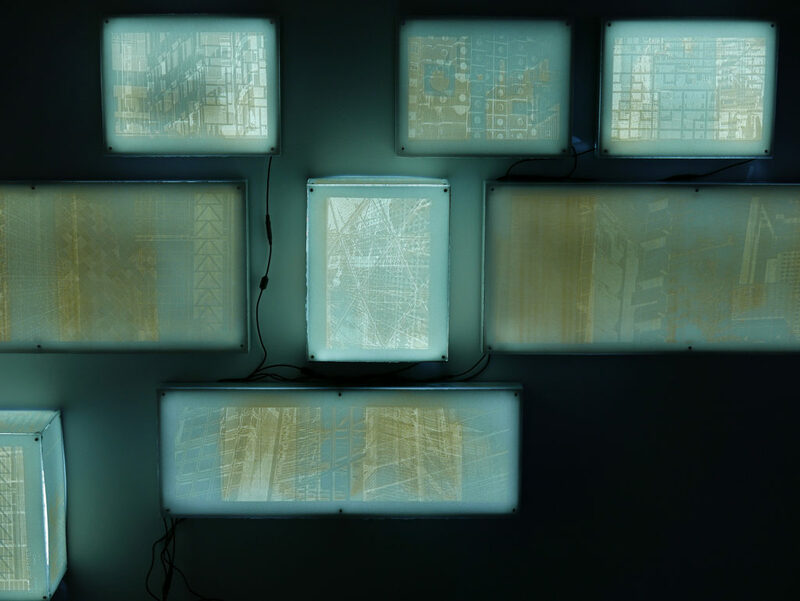 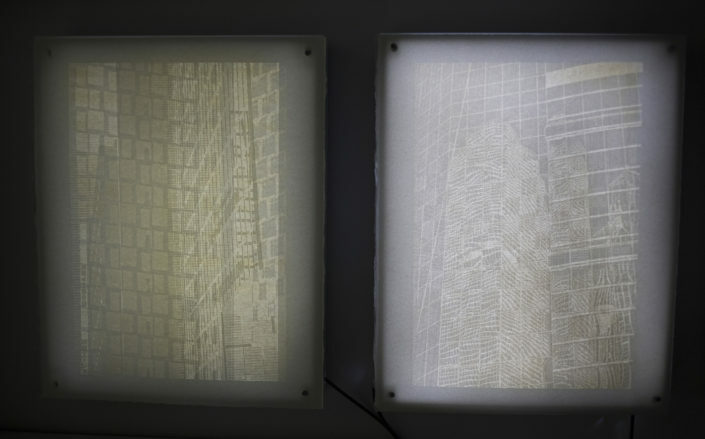 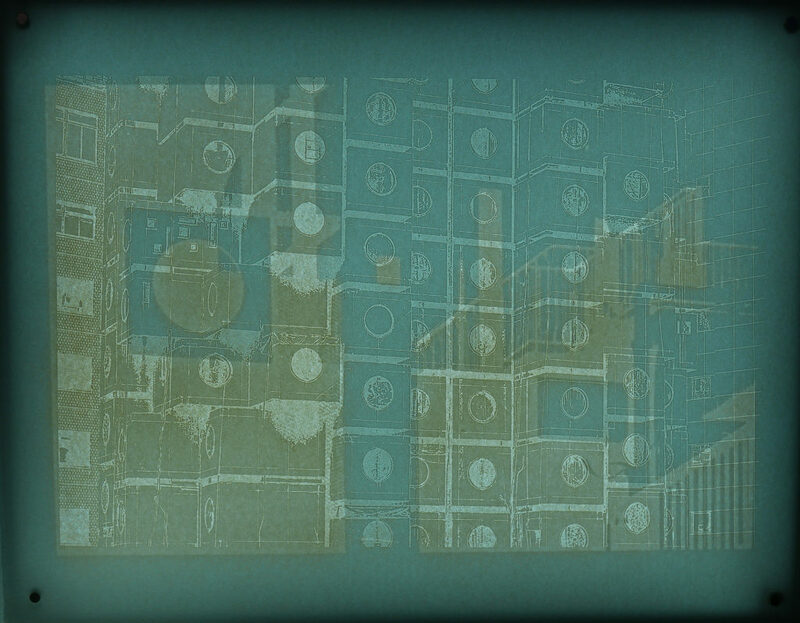 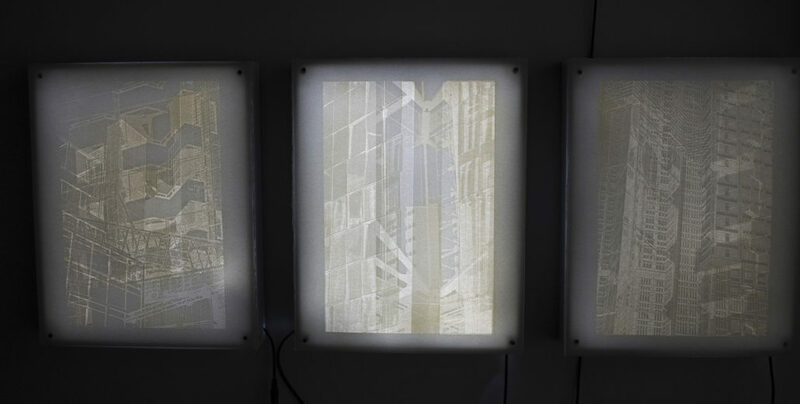 Presented as illuminated works, the superimposed photographs are precisely positioned in the irregular pattern of lit skyscraper windows seen at night. 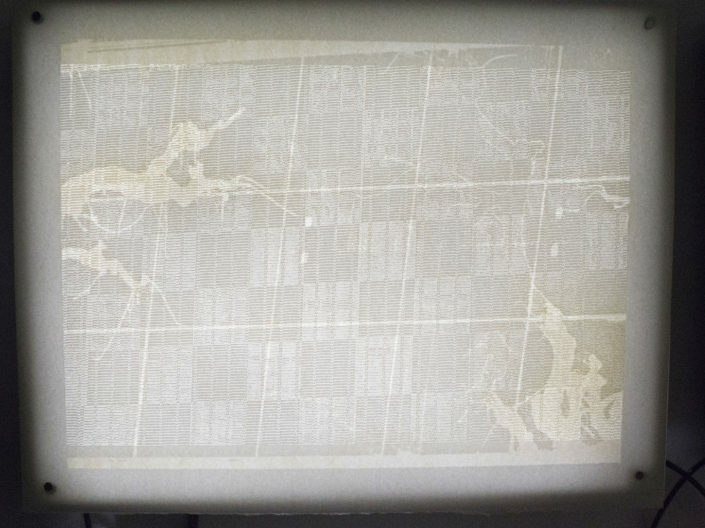 Aspects of the image are revealed in time, as images on the backside of the sheet slowly emerge, providing detail, context and additional patterning to the image on the front. 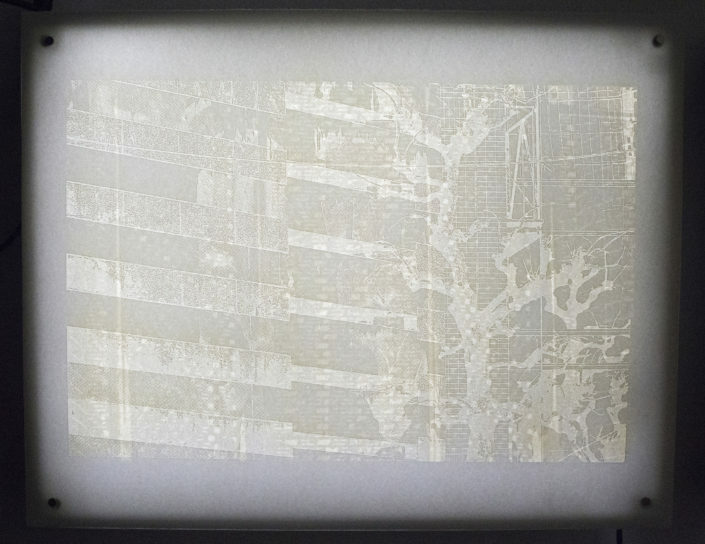 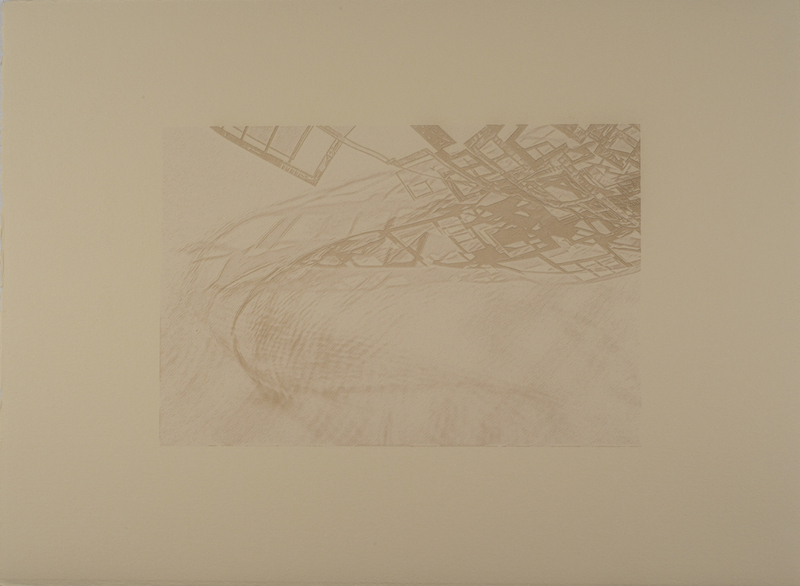 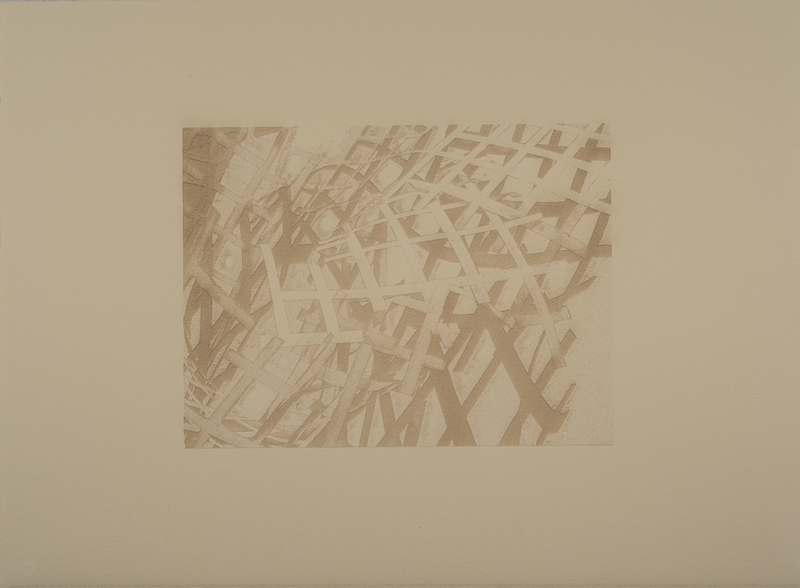 Each photographic was digitally manipulated, and scrupulously paired with a counterpart image, that was incised into the opposite side of the paper. 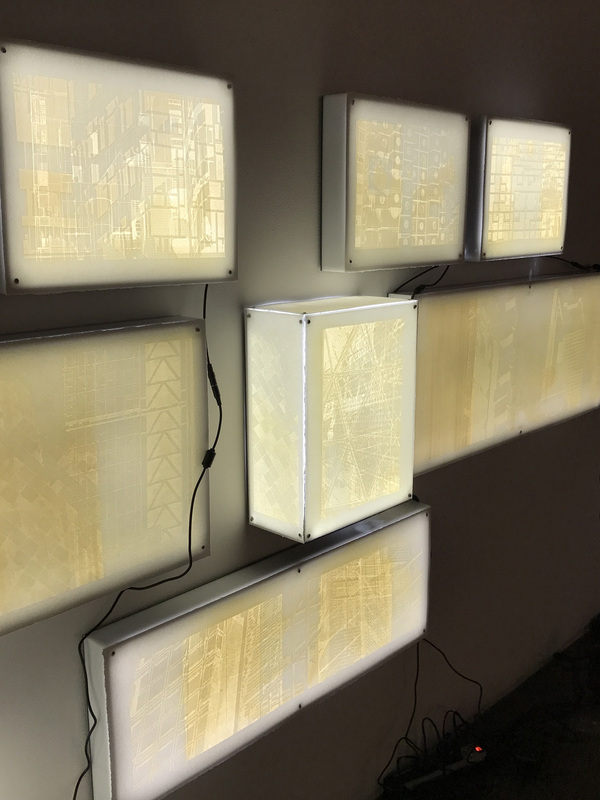 The completed pieces were placed on light boxes, positioned to accentuate height, proximity and to contradict the structural grids found within the gallery space. 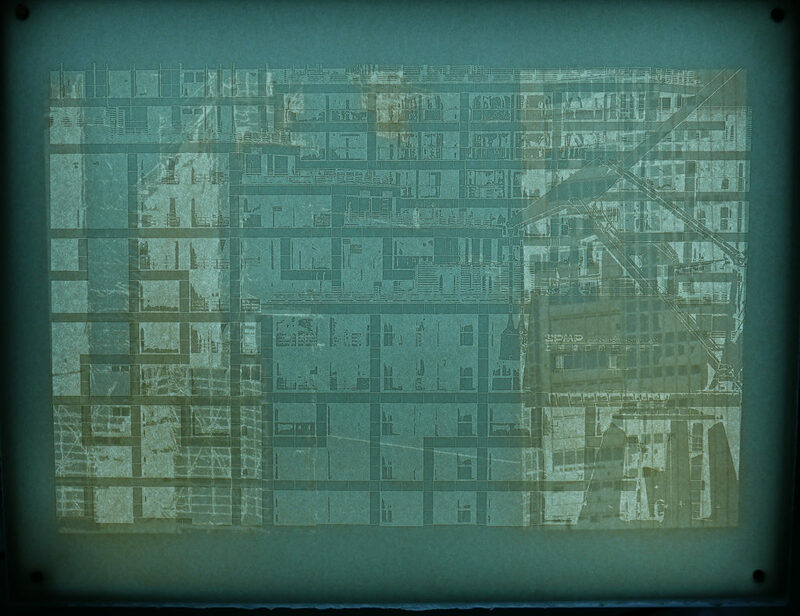 Expanding upon the concept of “the grid” and paralleling urban design and planning, electrical wires connecting the units to each other and their power sources remained visible. 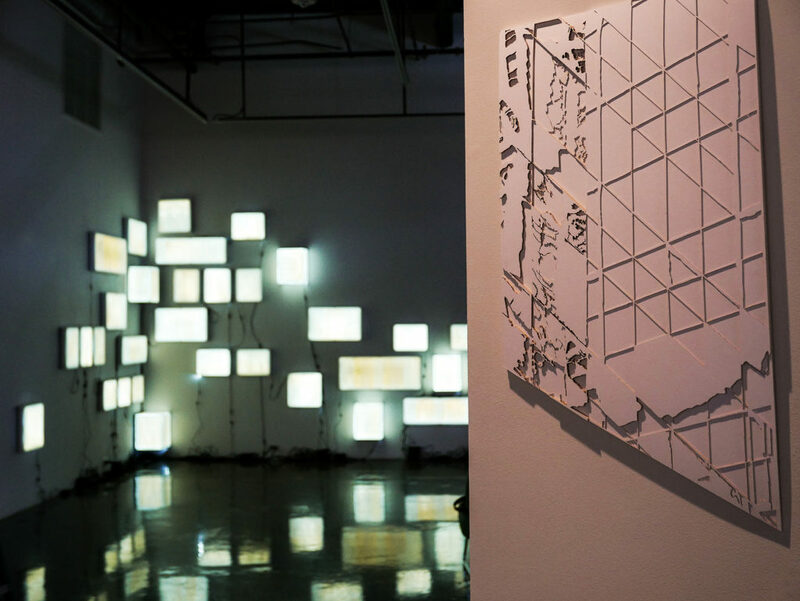 This created spontaneous, organic lines and shapes that contradicted the geometric forms and structure of this uniquely designed grid.